This non-toxic mineral can be helpful to humans, animals, plant life, and the environment. While the majority of gypsum produced in United States and Canada is used to manufacture gypsum board or building plasters, gypsum is used in many other ways. One hundred pounds of gypsum rock contains approximately 21 pounds (or 10 quarts) of chemically combined water. 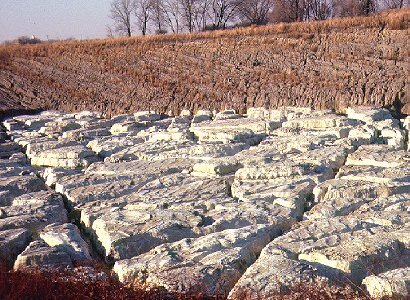 Gypsum rock is mined or quarried, crushed and ground into a fine powder. In a process called calcining, the powder is heating to approximately 350 degrees F, driving off three fourths of the chemically combined water. The calcined gypsum, or hemihydrate, becomes the base for gypsum plaster, gypsum board and other gypsum products. Flue-Gas Desulfurization (FGD) gypsum has been used to manufacture gypsum board for more than 30 years. A by-product of desulfurization of flue gas from the stacks of fossil-fueled power plants, emissions captured from smoke stacks can be purified into a hard substance and manufactured into gypsum. Today, almost half of all gypsum used in the United States is FGD gypsum. Natural gypsum and FGD gypsum have the same chemical composition, they are calcium sulfate dihydrate (CaSO4·2H2O). FGD gypsum production and sales encourages power producers to capture “waste” for reuse, rather than merely storing it. The production of this extremely pure type of gypsum reduces environmental pollution. 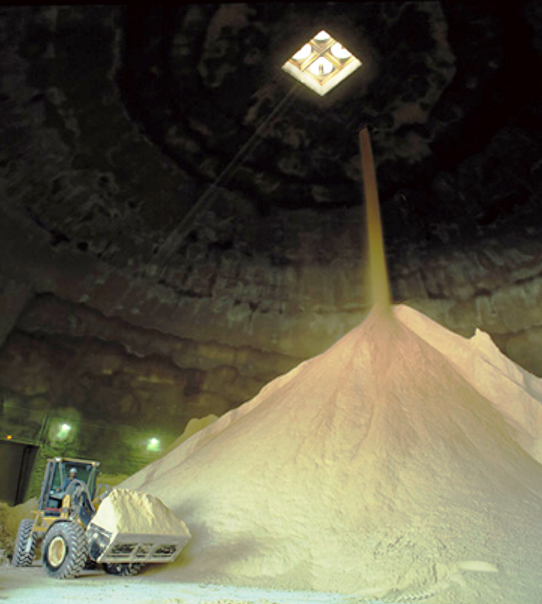 In 2010, the U.S. gypsum industry diverted nearly 8 million short tons of FGD gypsum to board manufacturing that otherwise would have been sent to local landfills. The increased use of FGD gypsum has also encouraged new plants to be sited much closer to major population centers. This close proximity between manufacturing facilities and distribution centers saves energy and decreases pollution. Today, a significant percentage of gypsum products distributed in North America are manufactured near installation sites. Because of its environmental benefits, both the Environmental Protection Agency and the U.S. Green Building Council use FGD gypsum board in their office buildings. Synthetic gypsum that is suitable for use in wallboard includes flue-gas desulfurization (FGD) gypsum, fluorogypsum, citrogypsum, and titanogypsum. Titanogypsum is a by-product from manufacturing titanium dioxide. Some types of FGD gypsum are generally considered unsuitable for use in gypsum board due to potential environmental hazards; for example, phosphogypsum may contain radon and radio nuclides. Synthetic gypsum with potentially harmful materials is not used to manufacture gypsum board. Members of the Gypsum Association do not use phosphogypsum to manufacture any gypsum-based product. By using synthetic gypsum in its manufacturing process, the gypsum industry contributes to a cleaner environment in at least two ways. The majority of synthetic gypsum used by the industry is generated to keep the air clean; it is also an otherwise useless material that would take up valuable space in landfills if not used in the manufacture of wallboard. Both the natural and the synthetic gypsum used in gypsum board are considered to be non-toxic and safe. Certain impurities occasionally occur with natural as well as synthetic gypsum. The impurities are generally inert and harmless and typically consist of clay, anhydrite, or limestone in natural gypsum and fly ash in synthetic gypsum. Each individual source must be analyzed separately to assess its particular suitability which may vary depending on purity levels of the specific materials that have mixed with the gypsum at that source. Traditionally, most plants that incorporated synthetic gypsum into their board products relied on a mixture of synthetic and natural ore; however, modern plants can manufacture wallboard without using any natural gypsum.